Fishing is a wonderful sport that is both exciting and relaxing. And with the warming weather upon us, you will see more and more fishermen, and fisherwomen, out on the water. Fishing is more than just a way to pass time. In fact, sport fishing provides a wide array of benefits to those who partake in it. Sport fishing, such as what you would experience on a Seward halibut charter, is a great way to exercise without feeling like your exercise. Sport fishing moves a lot of those muscles that you may be neglecting, and as I’m sure you know, regular exercise is essential to living a long, healthy life. Anyone who has ever fished with a friend or family member before knows the bonding that can take place. So it’s no surprise that when you go fishing with friends and family, you will nurture and increase that bond with the people who mean the most to you. Research upon research has shown that sunshine can actually improve your health, and when you fish, you’re out in that sun. Letting the sunlight wash over you can help reduce depression and improve the quality of your sleep. You also get vitamin D, which is a common deficiency that adults have, naturally from the sun. Fresh air helps to oxygenate your blood and purify your lungs, as well as reduce the levels of stress you may be experiencing due to work and daily life. Being outside in the fresh air and sunlight also helps to make you feel calm and at peace. Catching fish is a great way to boost your self-esteem. This is because, with fishing, you set out with the goal to catch fish. And when you accomplish that goal, it provides a boost to your self-esteem. Never underestimate the effects of catching fish of all sizes. 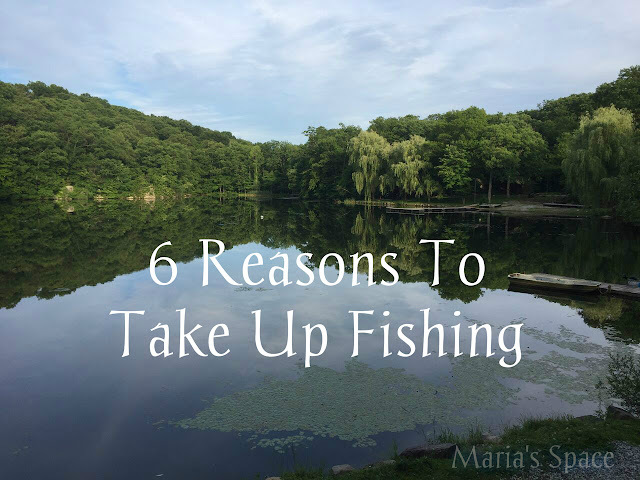 The above advantages are not just reasons to go fishing – do you ever really need a reason to go fishing – they are proven benefits that everyone, no matter what their age or past experience, receive when out on the water.